Product code: ES36045 Categories: Sold Items, Sold Rings. A cluster ring with a coloured stone in the centre surrounded by diamonds is such a traditional and elegant style and here is a very attractive emerald and diamond cluster ring set into a square design. Set into the centre is a gorgeous emerald that measures 0.60 carats and is then surrounded by 16 European cut diamonds that have a total weight of 0.32 carats and sparkle magnificently and really highlight the emerald so well. The traditional design of this ring and the way it sits so nice and flat on finger makes this ring look so well on any finger day or night. From left to right the ring measures 12mm across by 11.3mm and then leads to a very attractive triple split band that itself looks so smart and elegant. 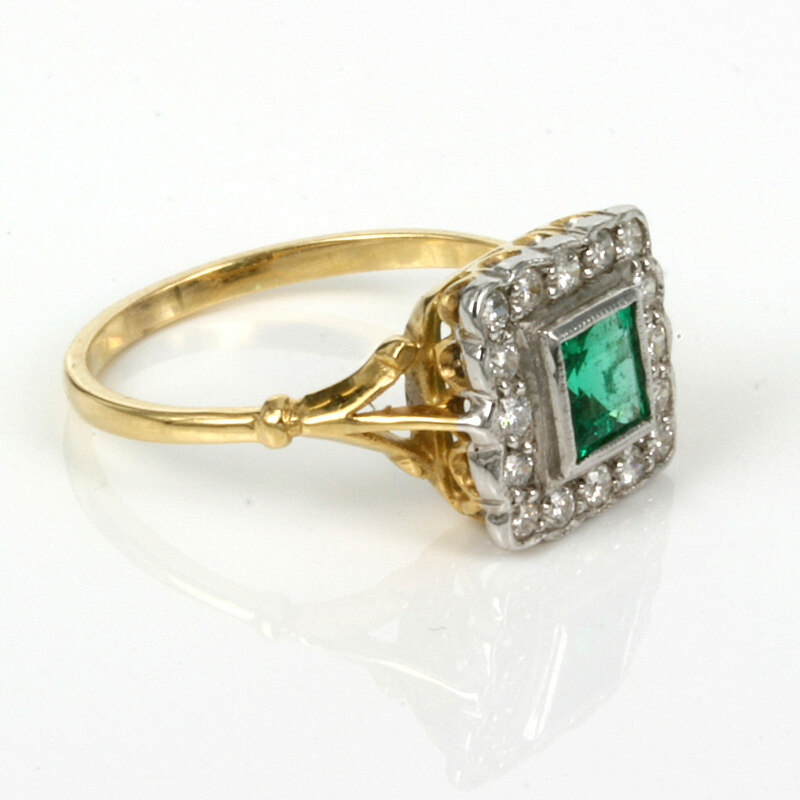 This is such a beautiful emerald and diamond ring that will always look so attractive on the hand.